Heat the oil in a pan, sauté the onion. Pour in the wine and reduce a little. Pour in the cream and simmer for approx. 3 mins. Add the Gorgonzola, melt over a low heat while stirring. Add the lemon juice, simmer briefly, season the sauce. 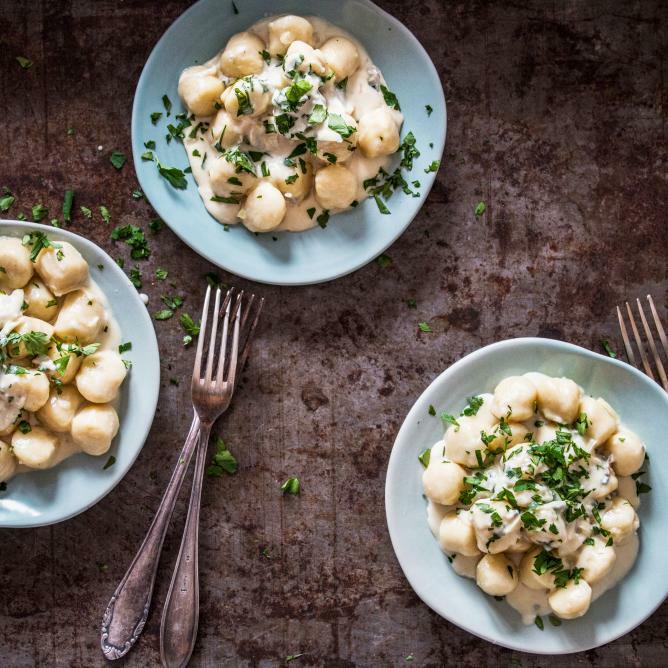 Cook the gnocchi in boiling salted water until they float to the surface. Drain the gnocchi, add to the sauce, add the parsley, mix everything together, season with a little pepper.